Do grandparents have visitation rights in Tennessee in 2018. Do grandparents have rights to grandchildren? Tennessee Code Annotated grandparents rights. Many a Tennessee grandparent has been in a situation where access to the grandchild was restricted or prohibited by the child’s mother, father, or both. Parents sometimes refuse grandparent visitation altogether. Not having regular access to a grandchild for seemingly no reason can be a very painful emotional experience and a genuine loss of society. Not just for the grandparent and grandchild, but for everyone in the family. Although the Tennessee law of grandparent visitation has opened doors for many, exercising grandparent visitation rights is not a sure thing, even when the aged and young have a history of familial association. Making matters more confusing for parents, grandparents, and children alike, Tennessee’s grandparent visitation rights law continues to evolve and change. In this discussion, we will answer questions about the scope of grandparent visitation rights in Tennessee and how to go about exercising those rights in court. These are some of the questions clients ask when seeking help from a grandparent visitation attorney. 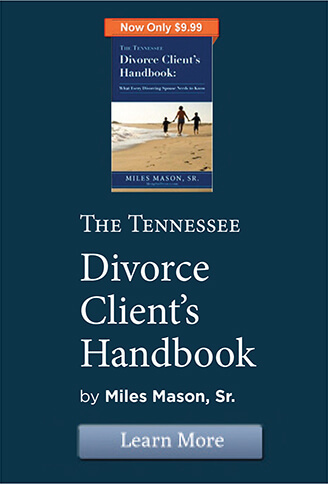 For specific legal advice on Tennessee grandparent visitation rights law, consult with Memphis divorce attorney and family lawyer Miles Mason, Sr.
Grandmothers and grandfathers alike should know in what circumstances they may seek court-ordered access over the objections of their grandchild’s parent or parents. Understand that it is the parents, not the grandparents, who have a fundamental liberty interest in the care, custody, and control of their offspring and adopted children as protected by the Tennessee and U.S. Constitution. For more information about the law of grandparent visitation rights, take a moment to read about Grandparent Visitation Rights Law in Tennessee – the companion page to this discussion. Do Grandparents Have Visitation Rights in Tennessee? This is the pivotal question. Do grandparents even have legal rights to visit their grandchildren under Tennessee law? Yes, they do. But those rights are not without limitation. So long as the child’s parents remain married to each other (and lack of parental fitness is not at issue), they can exercise a level of control over grandparent visits without judicial interference. When the mother and father are fit parents, the law presumes that their child-rearing decisions are in the child’s best interests. Consequently, some weight must accorded their decisions regarding maternal or paternal grandparent visitation. Tennessee law respects the unquantifiable nature of a grandparent’s love and familial relationship to a grandchild. But the intangible value of that relationship is viewed from the perspective of what is best for the child, not what is best for the grandparent, regardless of age. Furthermore, several statutory hurdles must be jumped before the court can even consider the question of whether grandparent access should be ordered as being in the child’s best interests. Do Grandparents Have Rights to Grandchildren? When you view court-ordered grandparent visitation as something beneficial to the child, primarily, and desirable for the grandparent, secondarily, Tennessee grandparent visitation rights law makes greater sense in application. On the question of whether or not a grandparent has a right of visitation with a grandchild, we need to take a step back and look at the bigger picture. In the year 2000, that picture included the U.S. Supreme Court’s landmark decision in the grandparent visitation rights case of Troxel v. Granville, 530 U.S. 57, 120 S.Ct. 2054 (2000). For the grandparent seeking visitation, Troxel v. Granville is the standard protecting the fit parents’ decision-making. Tennessee law cannot unconstitutionally infringe upon the fit parent’s right to rear his or her child. A grandparent may feel that he or she is just as important to the child’s happiness and welfare as the parent is, albeit in a special way. Which may in fact be so. But under federal and state law, the grandparent is still a non-parent. And a non-parent does not have the right to obstruct a fit parent’s right to raise the child as he or she deems appropriate. There is one notable exception – when the parent’s decision to preclude or restrict grandparent visitation presents a danger of substantial harm to the child. In the Troxel v. Granville case mentioned above, the paternal grandparents sought two weekends of overnight visitation each month and two weeks visitation each summer. The children’s mother did not prohibit the grandparents’ access, but chose to limit the occasions to one day a month with no overnight stays. The trial court ordered grandparent visitation one weekend each month, a week in summer, and four hours on each child’s birthday – a substantial departure from what the mother, a fit parent, desired. The mother ultimately prevailed on constitutional grounds. Yet the parties’ differing views on how much visitation is enough brings up an important point. What kind of Tennessee visitation arrangement should a grandparent seek? How much time with a grandchild is enough time? How far must the child travel to the grandparents’ residence? Will the grandparent stay at the child’s residence for overnight access? The grandparent who seeks visitation should have a plan. How much time and how often over the course of the year is reasonable access to the child? With pre-school aged children, particularly, should visitation only be in the parent’s presence? Will the child have overnight stays with the grandparent? Will the grandparent have access time on holidays and birthdays? Creating a desirable plan for reasonable visitation take some effort. To get started, there are many helpful grandparent visitation cases summarized on our website. Visit the Grandparents’ Visitation Rights category or the Tennessee Family Law Blog for updates, analysis, and case law summaries. Before asserting one’s right of access to grandchildren, under what circumstances can the Tennessee court consider such visitation? The Tennessee legislature enacted three visitation statutes specifically directed at grandparents. These laws enable grandparents to assert visitation rights with their grandchildren, but only in particular situations. Grandparents related to the child by blood or adoption do not have carte blanche to demand visitation solely because such access is in the best interests of the child. Although an essential consideration, it is not the only consideration. Step 1: Who Can Petition for Grandparent Visitation? A grandparent has a right to file a petition for visitation under Tennessee law. The right to petition and success on the merits, however, are two different things. Be prepared. 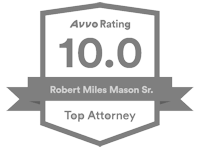 Seek legal advice from an experienced Tennessee family lawyer before deciding on a course of action. In Tennessee, the court’s power to grant a grandparent’s request for visitation over the parents’ objection is strictly limited. Such judicial authority only exists when the family unit is not intact, which will become apparent later in this discussion. If the family is intact and has not subjected itself to the court’s jurisdiction, then the court may not interject itself by awarding visitation to a grandparent over the parent’s opposition. The Tennessee Supreme Court has ruled that it is an invasion of the parent’s privacy to interfere in his or her child-raising techniques where there was no evidence of harm to the children. Hawk v. Hawk, 855 S.W.2d (Tenn. 1993). When the parent does not oppose the visitation plan, the court may order grandparent visitation. (If the parent and grandparent were in agreement, then it’s unlikely there would be a pressing need to file a petition for visitation in the first place.) Note that a “parent” is a biological, legal or adoptive parent, but is not a legal guardian. Death of a Parent: One of the child’s parents is deceased. Missing Parent: One of the child’s parents is missing and has been missing for at least six months. Parents’ Marital Status: The child’s parents are not married to each other or, if they were married to each other, they are now divorced or legally separated. Foreign Grandparent Visitation Order: The grandparent has a visitation order from another state granting access to the child. Presumption of Irreparable Harm: For at least 12 months, the child lived with the grandparent before being removed from the grandparent’s home by the parent or parents. In this situation, Tennessee law creates a rebuttable presumption that the child would be harmed if grandparent visitation were denied. Significant Relationship: For at least 12 months immediately before the parent or parents put a stop to access, the grandparent and grandchild had “maintained a significant existing relationship.” Under Tennessee law, terminating a significant existing relationship of this kind is likely to cause substantial emotional harm to the child (but there is no legal presumption that it will). This assumes, however, that the parent did not sever the relationship to prevent substantial harm to the child or abuse of the child. See T.C.A. § 36-6-306(a) for exact statutory language. Given these limitations, for the best possible outcome the grandparents seeking to assert visitation rights should consult an attorney and must be well-prepared for the hearing. Tennessee law is very specific about the circumstances in which grandparents may seek a hearing in these cases. What happens when parents are married, present, and fit, there is no history of child abuse, neglect, or endangerment, yet the parent has denied or limited access to less than the grandparent desires? In that instance, the grandparent would also carry the burden of proving the grandchild would be substantially harmed if regular visits were not granted. 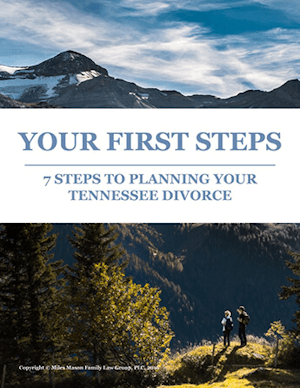 Step 2: Would the Child Be Substantially Harmed If the Relationship Ceased? If the grandparent has been granted a hearing, then the court must determine whether there is a danger of substantial harm to the child should visitation with the grandmother or grandfather be restricted or stopped. In these cases, the term “substantial” means a real hazard or danger, one that is “not minor, trivial or insignificant.” Additionally, the harm must be “sufficiently probable” (it need not be an inevitability, but it cannot be a mere theoretical possibility either). In re Camryne (Tenn. Ct. App. 2014). Likelihood of Severe Emotional Harm: Does a significant relationship exist between grandparent and grandchild such that losing said association is likely to cause the child severe emotional harm? 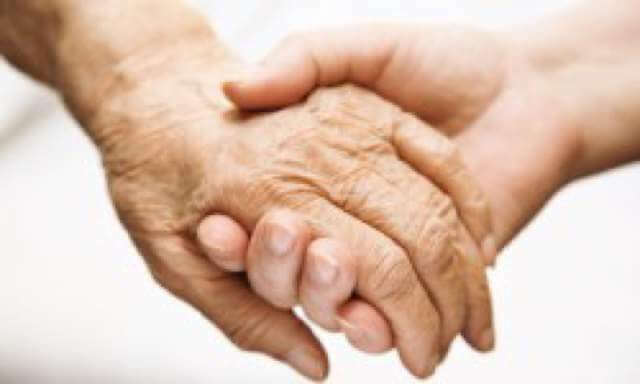 Grandparent as Primary Caretaker: Did the grandparent serve as the child’s primary caretaker such that cessation of the relationship would interrupt the child’s daily needs which, in turn, may cause physical or emotional harm to the child? Other Direct and Substantial Harm: Does the child have a significant existing relationship with the grandparent such that the loss of said association presents a danger of other direct and substantial harm to the child? Step 3: Does the Grandparent Have a Significant Relationship With the Child? Child Lived with Grandparent: The child resided with his or her grandparent for six consecutive months or longer. Grandparent as Caretaker: The grandparent was the child’s full-time caretaker for at least six months. Year-Long Visitation: The grandparent has already enjoyed frequent visitation with the child for at least one year. See T.C.A. § 36-6-306(b) for exact statutory language. Should the court find that there is a danger of substantial harm to the child, then the judge must further determine whether grandparent visitation would be in the child’s best interest. Step 4: Is Grandparent Visitation in the Best Interests of the Child? Duration and Quality of Relationship: What was the length and quality of the prior relationship between child and grandparent? What role did the grandparent play in the child’s life? Emotional Ties: What emotional ties exist between grandchild and grandparent? Child’s Preference: If the child is mature enough to express an opinion, then what is the child’s preference regarding grandparent visits? Effect of Lingering Hostility: What effect of hostility, if any, between grandparent and parent as manifested before the child? Except in cases where there has been abuse, is the grandparent willing to encourage a close relationship between parent and child? Good Faith Petitioner: Was the grandparent’s visitation petition filed in good faith? Parenting Time: If the parents are divorced or separated, what is their parenting time arrangement? Deceased or Missing Parent: Is the grandparent the biological or adoptive parent of the child’s deceased or missing parent? Unreasonable Denial: Did the parent unreasonably deprive the grandparent of opportunity to visit the child? Has visitation been unreasonably denied for more than 90 days? Significant Relationship: Does the grandparent desire to maintain a significant existing relationship with the child? Parent-Child Relationship: If granted, would grandparent visitation interfere with the parent’s relationship with the child? Parental Unfitness: Has any court found the parent to be unfit? See T.C.A. § 36-6-307 for exact statutory language. A visitation hearing is necessary if the custodial parent objects to grandparental access. But never underestimate the power of negotiation. 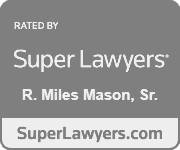 Settlement of these family issues is always possible and, when productive, can eliminate the need (and cost) for continued litigation between family members. Parent and grandparent are free to negotiate and settle on an acceptable visitation plan if they can, perhaps supervised visitation, with their attorneys’ assistance. Mediation may also be helpful as a way of settling the dispute on terms that satisfy both party’s needs and desires without further litigation. When parents and grandparents are in conflict over visitation time with a minor child, disappointment and resultant hard feelings can burden their family long into the future. Most grandparents consider their grandchildren to be the greatest gift of their adult lives. They hope to share their life-long experiences, family history, wisdom, and love with grandchildren for as long as time allows. But there are many legal considerations to overcome while the grandchild remains a minor, not the least of which is the fit, married parents’ liberty interest in raising children without court intervention.